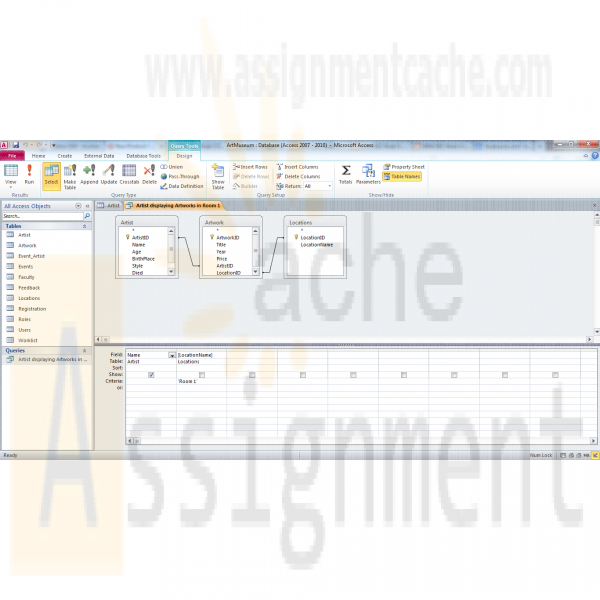 The following assignment is based on the database environment chosen and created in the Week Three Individual Assignment. · Provide a logical and physical design of the database. · Use relational database software application to develop database. · Provide an entity relationship diagram. · Generate and provide test data. Use the Microsoft® Access® database created in Week Three to create a minimum of 10 rows of test data in each table. Also, create at least one query that joins two tables and returns values from both tables. Note. Only the Microsoft® Visio® diagram must be normalized to the 3NF. The 3NF is not required for a Microsoft® Access®database. 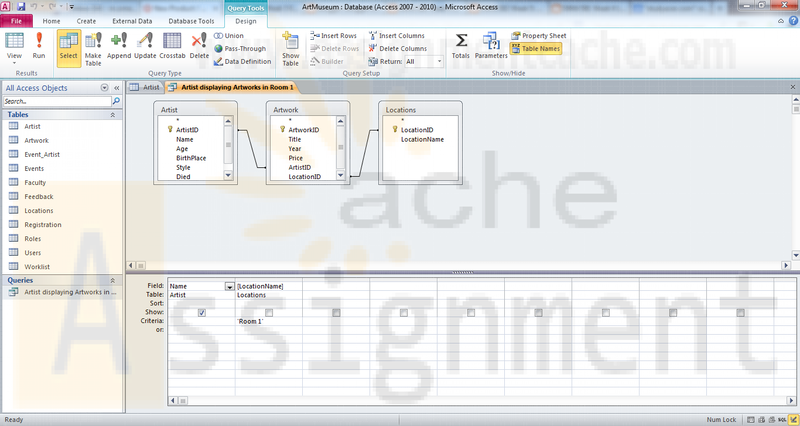 Submit the ERD and final database to the appropriate Assignment link. Individual Normalization of the ERD The following assignment is based on the database environment chosen and created in the Week Three Individual Assignment. Your database project must meet the following assessment requirements: Design and develop a database using professional principles and standards. · Provide a logical and physical design of the database. · Use relational database software application to develop database. · Provide an entity relationship diagram. · Normalize the database. · Generate and provide test data. Use a Microsoft® Visio® diagram to normalize the ERD to third normal form (3NF). Use the Microsoft® Access® database created in Week Three to create a minimum of 10 rows of test data in each table. Also, create at least one query that joins two tables and returns values from both tables. Note. Only the Microsoft® Visio® diagram must be normalized to the 3NF. The 3NF is not required for a Microsoft® Access®database. 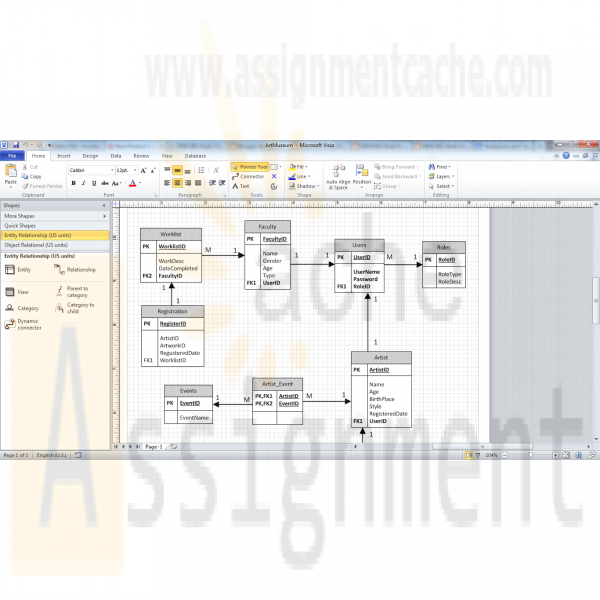 Submit the ERD and final database to the appropriate Assignment link.